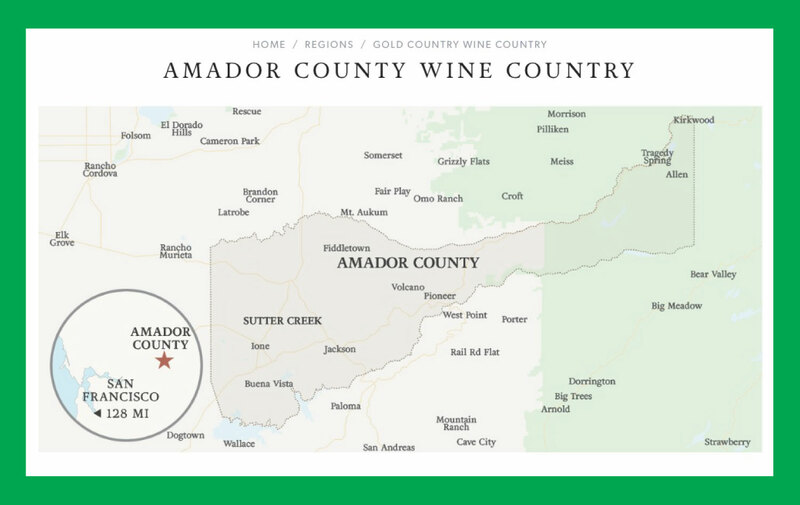 We decided this winter to try another region in California’s vast wine country, Amador County. This area is probably better known for its historic gold mines but from what we experienced it is well on its way to additionally becoming known for its wine production. We flew into San Francisco and drove to the foothills of the Sierra Nevada. On another visit I would fly into Sacramento (45 miles away) to vastly cut down on the lengthy drive. We chose to stay in Sutter Creek and explore from there. 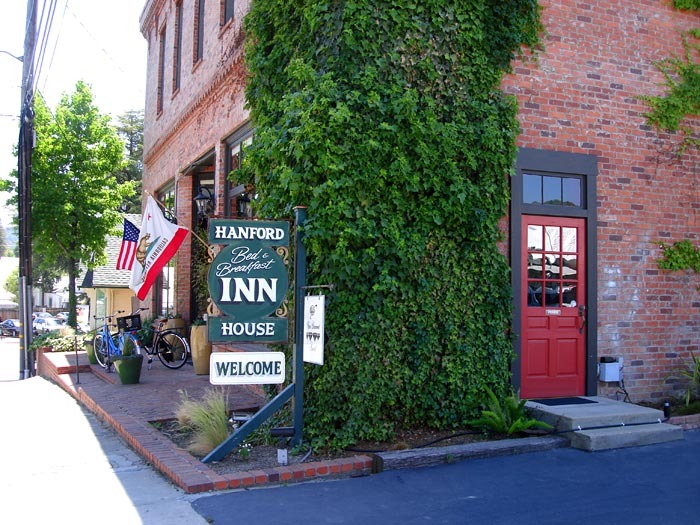 Our reservation was at the Hanford House, a small inn convenient to walking the downtown of Sutter Creek. I’d heartily recommend the inn and the adjoining restaurant Element. The accommodations were lovely but I would suggest requesting a 2nd floor room to avoid the possibility of having any noisy guests above you. 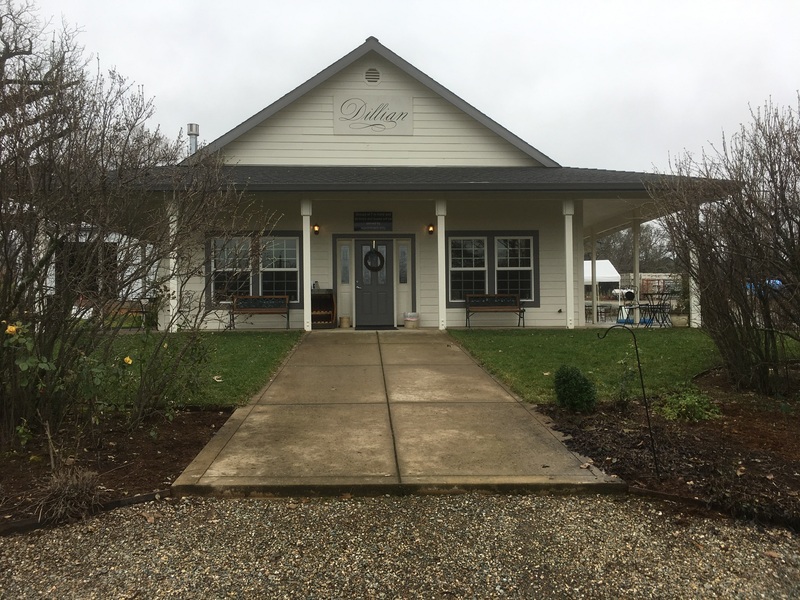 Before heading out to visit the wineries we were fortunate to pick up some excellent tips on the local wineries and personal favorites from the inn’s manager, Paul. His guidance helped with our challenge to visit many of the wineries on New Years Eve and New Years Day. 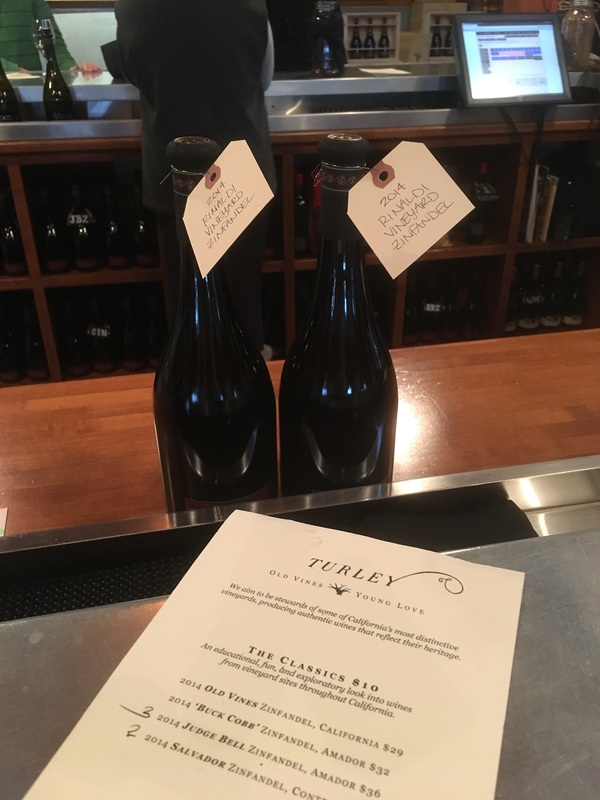 Turley is harvesting grapes in the region and their tasting room was our first stop. Our host was Katie. Seek her out if you go. 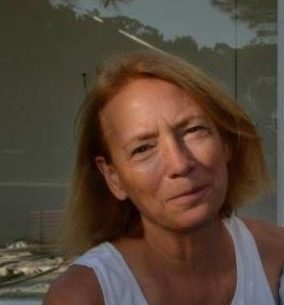 She grew up in the area and has a wealth of knowledge and tales of the area and of the land Turley is farming. Her enthusiasm is infectious! Next stop was Vino Noceto. 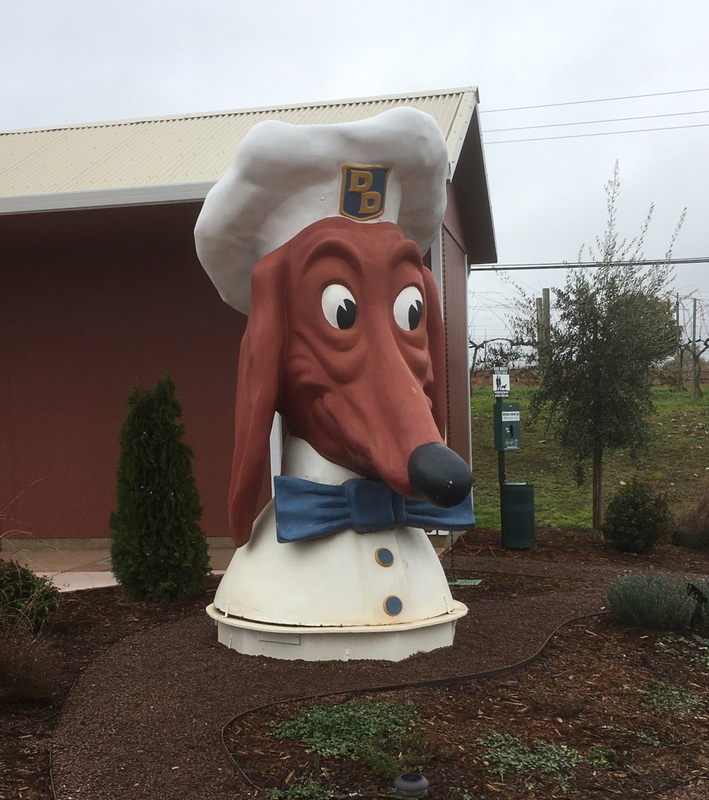 The winery is home to one of the iconic Doggie Diner figures. For those interested in the history of the Doggie Diner there is a site to visit. For the really curious, there is a Doggie Dinner documentary. Jim and Suzy Gullett purchased this property in 1984 and began planting Sangiovese vines on it a few years later. Today they are best known for their Sangiovese wines. 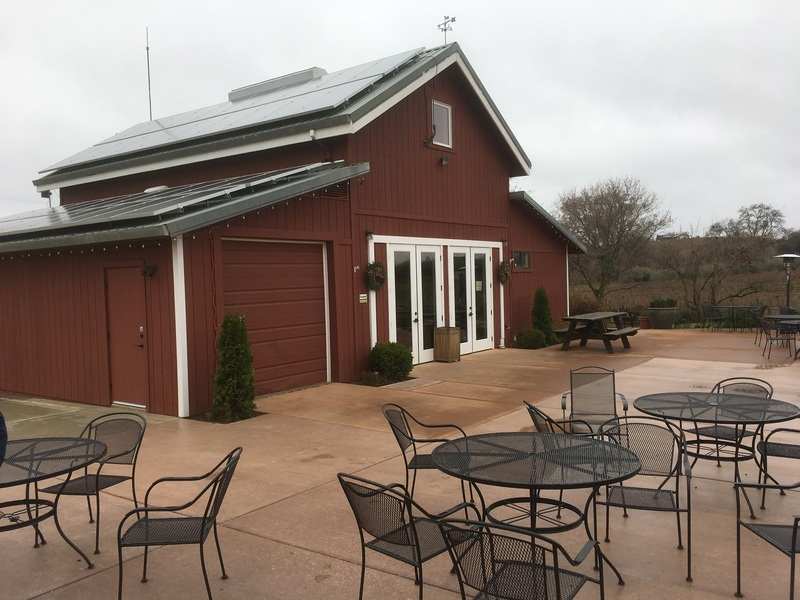 The tasting room offers a “Farm to Glass” tour which appeared very popular while we were visiting as the tasting room filled up rapidly. We lucked out to have Lindy Gullett pouring for us. When she learned we were interested in hearing and tasting more we were invited to return the next day for a private tour and tasting. 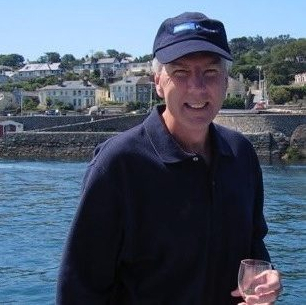 New Years Day in-depth tour of Vino Noceto with Bret Budrick………. Great wine tasting! Great wines! 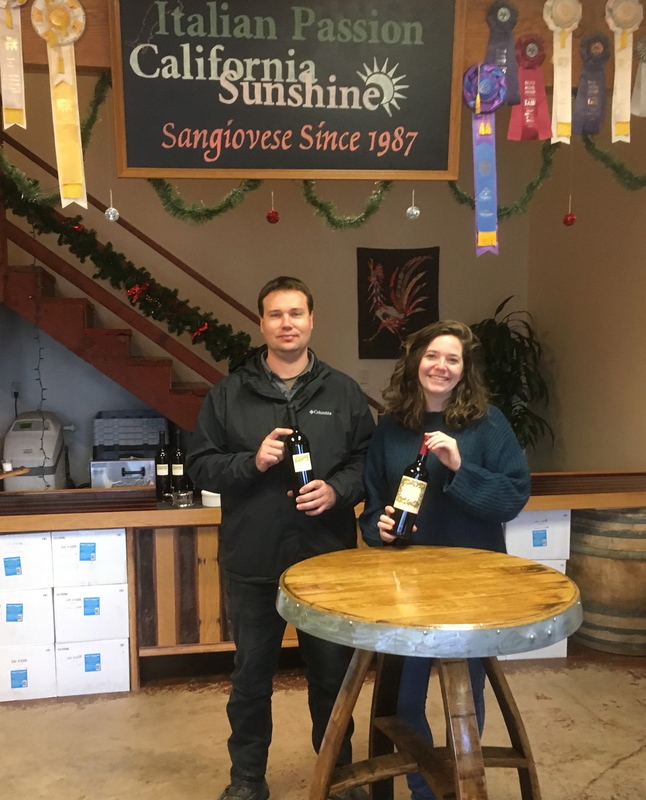 We shipped three 2013 varieties of Sangiovese – Dos Oakies, Hillside and Noceto. We also had them tuck in a few bottles of the 2012 OGP Zinfandel. Thank you Bret Budrick and Lindy GulletT for such a terrific visit! Dillian was our next stop It was one of the recommendations we received from Hanford’s innkeeper. He said their Barbera was a favorite of his. We were impressed by it as well as their Zinfandels. Tasting from 10 in the morning requires a good hearty lunch break. We found Marlene and Glen’s Dead Fly Diner in Plymouth perfect for the break. The place is not picturesque but the food was wonderful. Good burgers and fries! 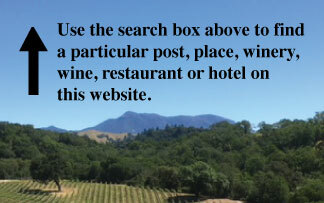 In the town of Sutter Creek there are a number of tasting rooms. 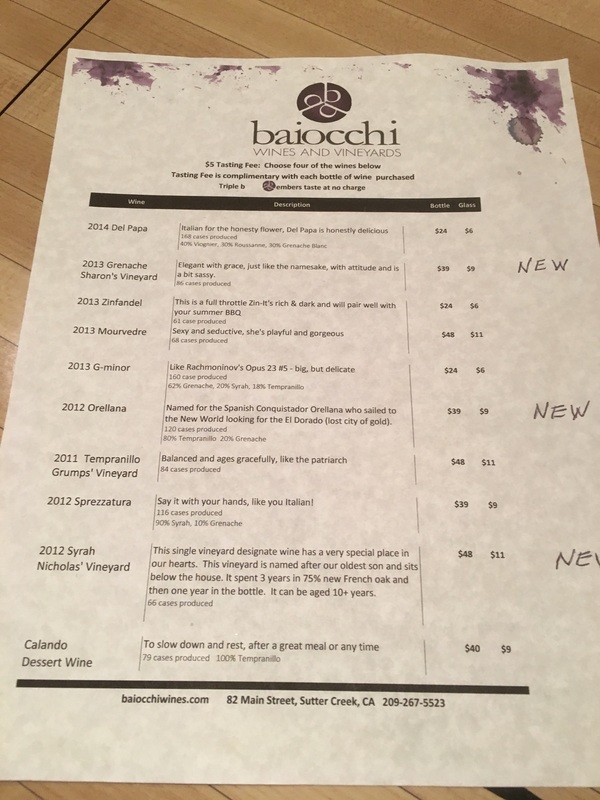 We chose to try Baiocchi and Yorba. At Baiocchi Sharon Baiocchi poured for us and her husband Greg was on hand to pour for other guests. 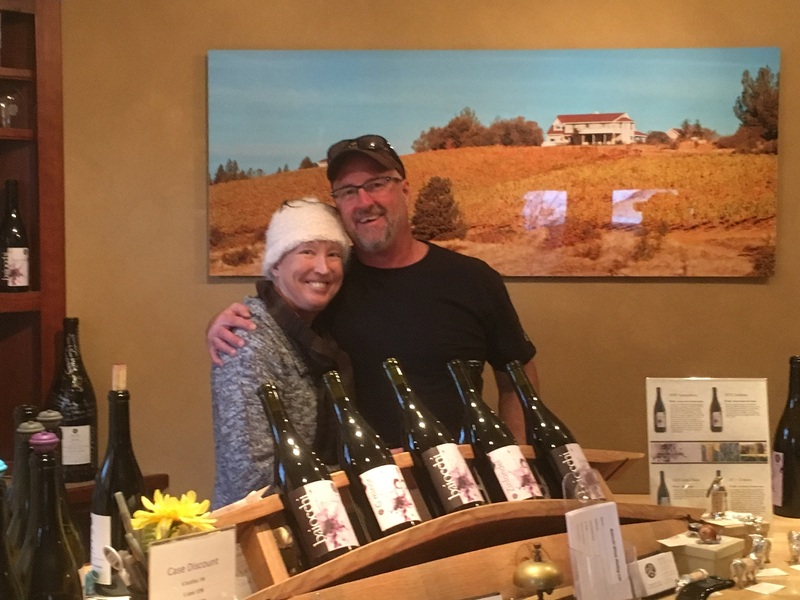 No question, our favorite, most memorable winery visits are those we have experienced with an owner or winemaker.. This was no exception. Their Tempranillo was a standout for me. Thank you Sharon and Greg Baiocchi for making out visit special. Ann Kraemer is an extremely talented viticulturist with a highly impressive background in her field. Her desire to get back to farming brought her to the Sierra Foothills to start Shake Ridge Ranch in 2003. The ranch vineyard produces the grapes for a number of wineries as well as her family’s Yorba wines. 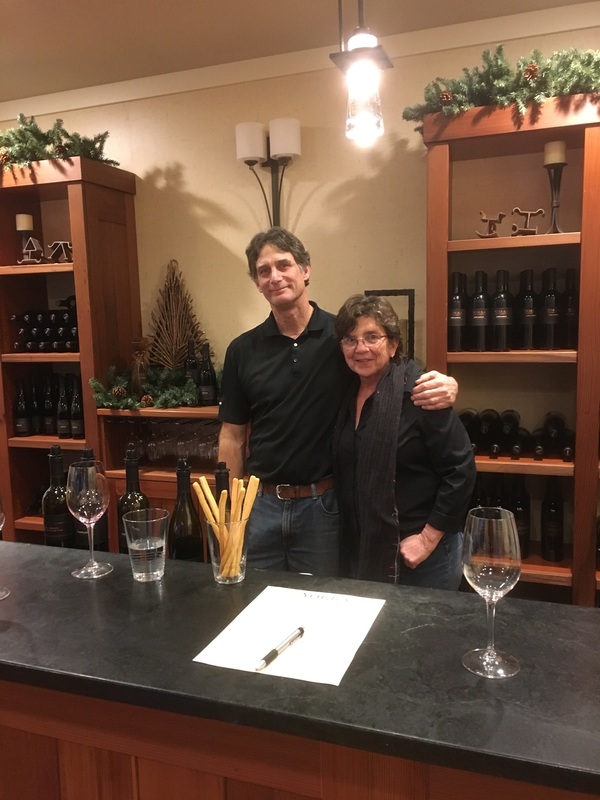 We were fortunate New Years Eve to taste the wines with Ann and Dave in Yorba’s downtown Sutter Creek tasting room. Terrific wines! The 2010 Tempranillo was quite special. We had to take a bottle of it with us and ship a variety home. Thank you Ann and Dave! We dined at the Imperial Hotel New Years Eve. 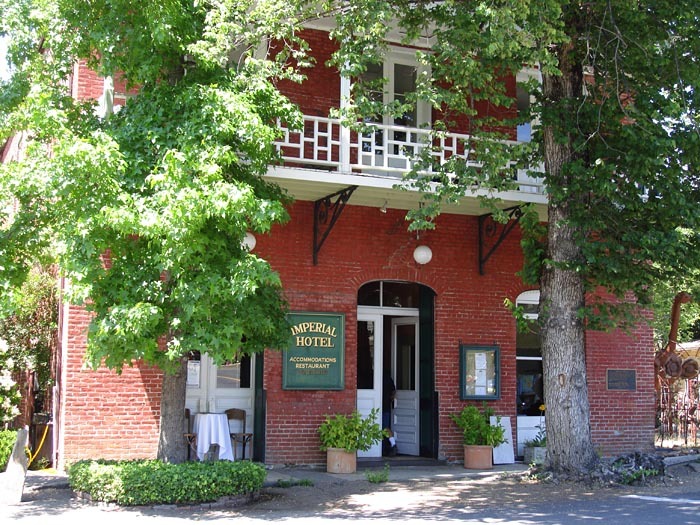 The hotel is in Amador City, one of the very small, charming towns in the region. 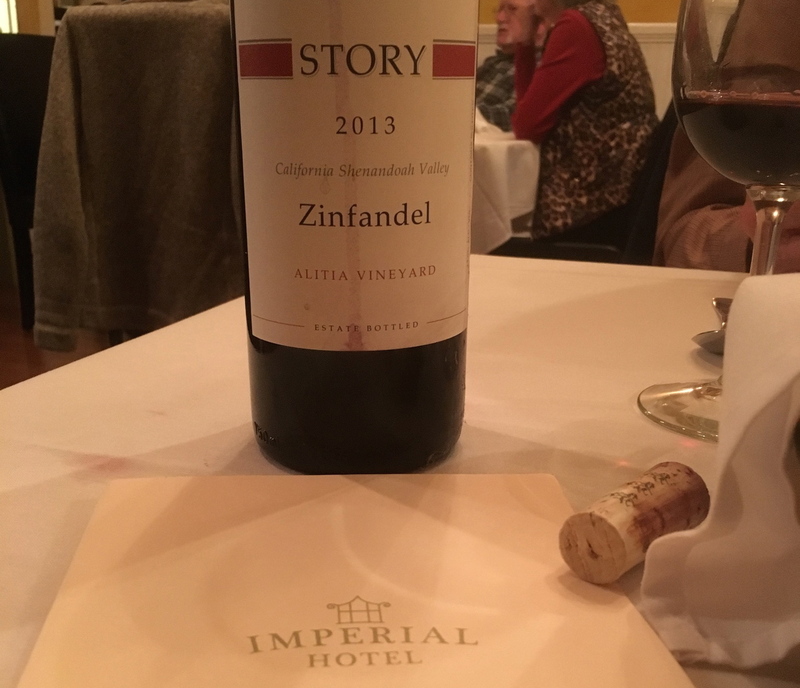 We were not able to get to taste at Story Winery so we ordered a bottle for New Years Eve dinner. The Sierra Foothills was most certainly worth the trip and worth a trip back! Deborah and John, Thank you for including us. 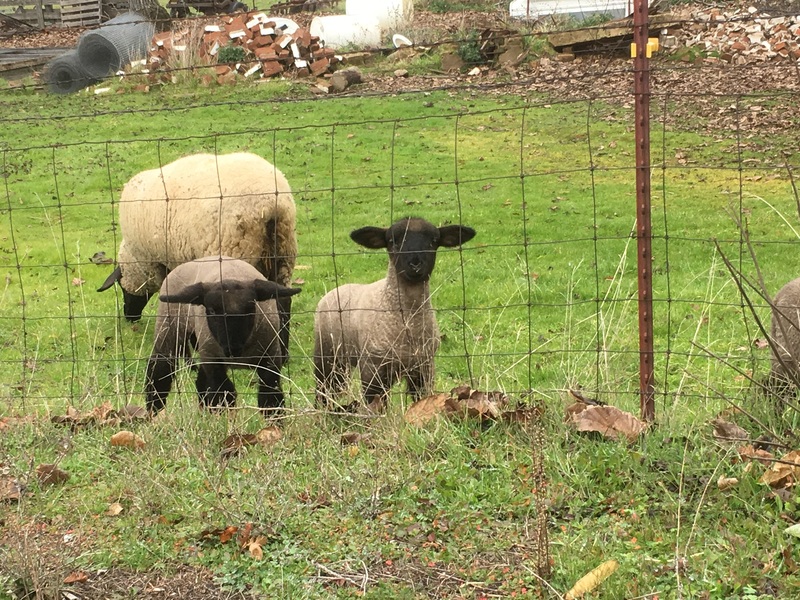 And for enjoying Amador County. Please come and visit again – would love to get you out to our vineyard next trip. Deborah, Thank you for your kind words! Katie is truly an asset to our team here, and we are happy to have her excitement and enthusiasm in our tasting room. I will forward this along to Katie and the rest of our team here. Hope you have a great weekend, and come back to visit us again soon! 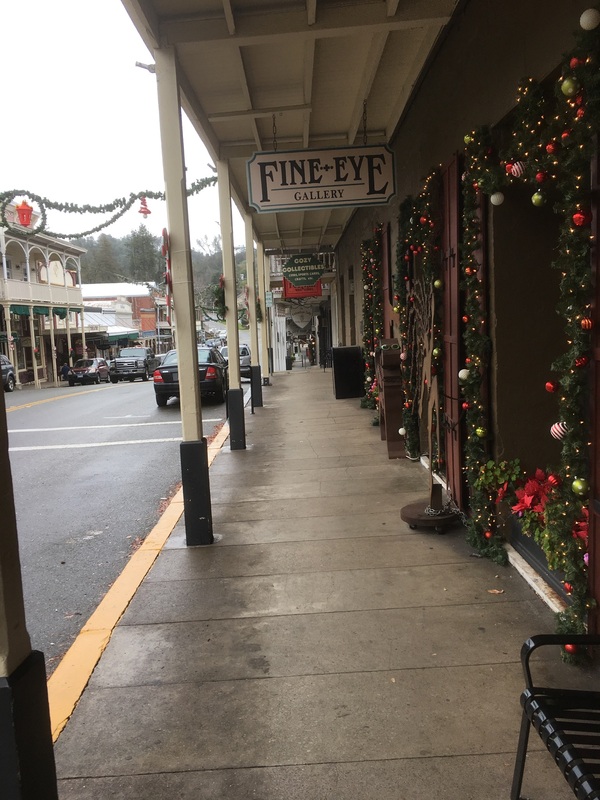 Hi John and Deborah, Thanks for sharing your blog with us and having such wonderful thingsto say about our area. We hope to see you in our area again. Have a lovely day. I just checked out the blog post. Great job! I thought it was a great write up. Thanks again for visiting us here at the winery, and I hope that your wine travels moving forward bring you much enjoyment. We will check in on your blog from time to time to see how things are going. 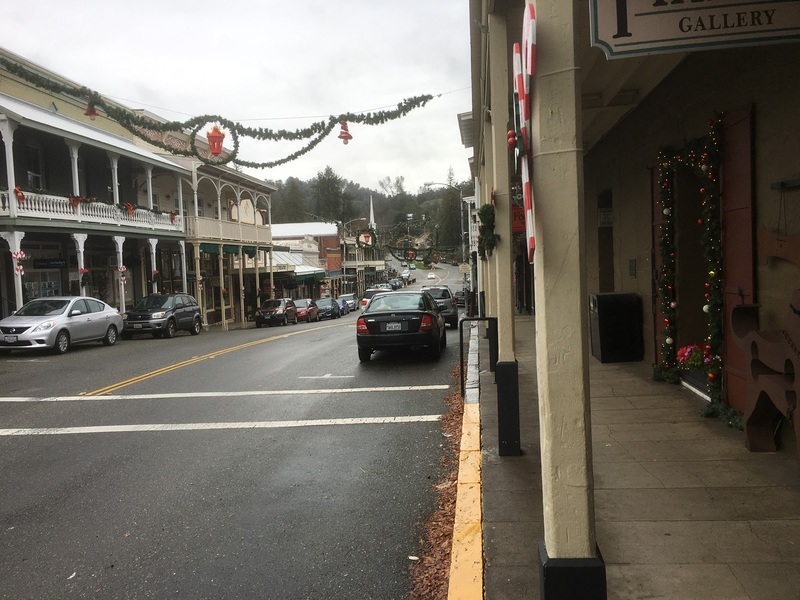 Next Returning to the Anderson Valley……..